Bermuda cruises are extremely popular, with around 470,000 visitors choosing to spend their vacation on the island this way. Most visitors arrive by contracted ships operating regular schedules between April and November. 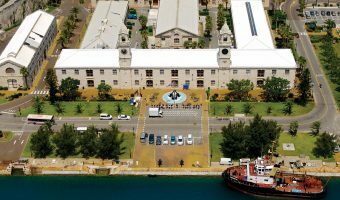 Ships depart from the east coast ports (New York, Baltimore, and Boston) and dock in Bermuda at Royal Naval Dockyard (Kings Wharf/Heritage Wharf). In 2018, Bermuda will see around 180 cruise ship visits. The five contracted ships will account for 104 of these (Anthem of the Seas – 22, Grandeur of the Seas – 18, Norwegian Escape – 22, Norwegian Dawn – 22, and Summit – 20). The other 76 visits will be by occasional callers. Most will visit the island just once or twice, usually as part of a longer Caribbean or transatlantic cruise. Some making more visits include the Carnival Horizon (5 visits), Disney Magic (5 visits), Insignia (8 visits), and Veendam (4 visits). The popularity of cruising to the island stems from its many advantages and relatively few disadvantages. The main advantage is cost. There’s no getting away from the fact that Bermuda is an expensive destination. Prices for Bermuda cruises are almost all-inclusive and usually include accommodation, meals in the main dining rooms, non-alcoholic drinks, entertainment, use of pools and fitness facilities. Items costing extra typically include meals in speciality restaurants, alcoholic drinks, shore excursions, internet access, telephone calls, spa and salon services, and babysitting. Cruise ships also offer a greater variety of activities and facilities than most of Bermuda’s hotels, more children’s programmes, and cheaper babysitting options. The main disadvantage of cruising is the reduced amount of time you will spend on the island compared to a hotel guest. For example, a 7-day cruise from New York on the Norwegian Escape will leave New York on Sunday at 4 pm and arrive in Bermuda at 8 am on Wednesday. Passengers spend only 2½ days on the island before heading back to New York at 3 pm on Friday. Even the most resourceful will miss out on many of the island’s attractions, beaches, and museums. In contrast, a visitor from New York staying in a hotel will enjoy much more time on the island. They will land at LF Wade International Airport around two hours after the flight takes off and be in their hotel room an hour later. A comparable 7-night vacation would allow six full days to explore Bermuda. Most of Bermuda’s best beaches (Horseshoe Bay, Elbow Beach, Jobson Cove etc.) are a fair distance from Kings Wharf and Heritage Wharf. To visit them you’ll need to book a shore excursion or take a bus or taxi. Most hotels have beach access or are within walking distance of one. The price of a cruise includes meals. As noted above this is one of the major advantages of a cruise. It’s also a disadvantage as you’re going to want to get maximum value and eat all meals on the ship. Eat anywhere else and you’re effectively paying twice. Most cruise passengers tend not to stray too far from the ship, severely limiting the scope of their vacation. Bear in mind that Dockyard is on the western tip of the island. All the cruise lines serving Bermuda organise shore excursions. They can be booked in advance on the cruise line’s website or on the ship at the shore excursion desk. Typical offerings in Bermuda include catamaran cruises, visits to popular tourist attractions, scuba diving, helmet diving, golf, days out at the beach, fishing trips, and days out at the beach. Shore excursions are a significant source of revenue for the cruise lines. The activities themselves are operated by locals. The cruise lines always add a fee to the price charged by the local operator. In nearly all cases it’s possible to make savings directly with the operator or organise the trip yourself. The total price for an adult booking these two trips through the cruise ship would be $138. Organising the excursions yourself costs 45 percent less than the price charged by the cruise line. You’ve also got a 3-day public transportation pass, allowing unlimited travel on buses and ferries. Which cruise ships sail from New York to Bermuda? Find out which cruise ships sail from New York to Bermuda. Includes detailed schedule of sailing dates.